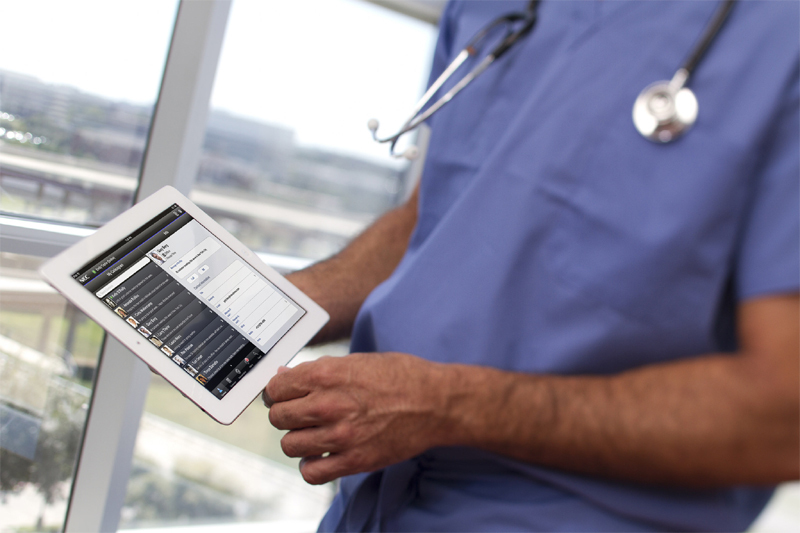 Using technology in healthcare industry is drastically changing the future of Healthcare. While thinking of medical startup you should consider technology first. From whichever angle you look at it, the healthcare industry is a big gamble. Despite the money being thrown into it right now through government backing, for those aspiring healthcare entrepreneurs out there, the one way to make a profit through this is by embracing the modern approaches. It's not enough to have a small budget, a couple of well-meaning workers, and a dream; you have to have more than that in which to survive! Technology is the most vital component in the healthcare industry right now, which is hardly a surprise, but why is this, and what can we do to ensure that it serves us well? Artificial Intelligence isn't just the mainstay of the marketing industry now. In fact, numerous businesses across various industries are using AI and cloud capabilities to ensure that the healthcare industry is more organized, not just from the perspective of the doctors and the hospitals, but also from the perspective of the patient. As far as medical records are concerned, the vast majority have moved away from the paper versions and have gone online and through the cloud. From the perspective of the patient, due to a lack of information, via the paper components, they were unable to be up-to-date and have an overly informed opinion. Now, EHRs, or Electronic Health Records, can help patients to access data at any point. This means that, via AI applications, people are able to speak directly to medical professionals so they can acquire the best treatment. From the perspective of any startup, it can be a major bone of contention, especially as far as maternal care is concerned. As the technical aspect of baby scans and antenatal care are widespread and have been successful for years, through items like the doppler and the portable ultrasound machine, the personal approach to maternal health care is improving through the more technical components. Even the assisted reproductive technology market is a lucrative way to make a profit now, but in digital healthcare, the doctor-patient relationship is very much a key aspect in the emotional support of patients. From the perspective of mothers, postpartum depression, arguably the biggest concern in new mothers, has resulted in the increase of virtual doctors. But as well as doctors still being able to provide the essential treatment, technology is highlighting the fact that healthcare still needs to be more human. Wearable devices are a very common part of data gathering, so how can the medical profession use this to their advantage? Because medical services can use these devices to collect information at any time and anyplace, this doesn't just provide an overall approach to wellness, it helps to provide essential information should medical problems arise. As these new technologies measure heart rate, blood sugar levels, as well as blood pressure and other essential vital signs, this is one way for patients to reduce their visits to the doctor, which helps them save money. But at the same time, if you're looking to deliver the best possible outcomes in terms of your health care service, these devices are the tip of the iceberg. In addition to wearable devices like watches, there are increases in footwear, chest straps, and even glasses. It's more than just the Fitbit now! There's a lot of talk about the “internet of things” currently as a way to improve data in an individual organization. The “internet of things” is a concept of machine learning, where one computer device, in essence, learns from and connects with other devices, meaning a more comprehensive connection between devices, making information easier to access, as well as the machines developing in competency. Machine learning and the IoT could prove to be an excellent asset as health care providers can adopt this approach to their inventory. As a result, an increase in efficiency and patient safety, not to mention staff happiness will result in a smoother operation all around. Because each IoT platform can help to integrate data across the board, not only does this provide efficiency, it helps to support organizations and providers to make difficult decisions quickly. Because data transference in the past was a long-winded approach, this, in combination with a more traditional approach to acquiring data, like paper, resulted in slower service. The “internet of things” helps to provide this throughline so patients, health care providers, and those at management level are able to see the transparency throughout the organization. Transparency is the most important component in any business, especially in the healthcare industry. Because patients need access to the treatment, their medical records, as well as an informed outcome, tech can provide this transparency through the “internet of things” as well as the various platforms in which to access services. But in addition to this, it helps with customer satisfaction. As patients can have access, not just to their medical records, but also to the medicines prescribed, test results, as well as the information about a specific doctor, a patient can be well informed, and up to speed by a few simple clicks. Add into the mix the ability to video call doctors and this decreases the physical patient waiting lists and helps doctors to provide a comprehensive service. It's a combination of the healthcare professional and the patient working together. The big problem in video consultations is that it's no better, in many ways, than a telephone call. In which case, there are numerous services that are able to accomplish this, meaning that money is saved. But from the perspective of a startup, looking to acquire an edge, video consultations can prove to be the additional benefit so they can have more custom over there contemporary. Throw into the mix the increase in smartphone technology, as well as apps being able to provide minor diagnoses, such as pulse checking and the patient using their smartphone camera to highlight physical symptoms, this can only improve over time. Right now, video consultations are in their infancy, but as healthcare businesses work to provide a sense of consistency and transparency, especially via the different platforms, patients and doctors will be able to have access to the same details, and are able to communicate with each other with more efficiency. The other positive outcome of video consultations is a more personalized service, especially when the patient is physically unable to go to the practice for a diagnosis. So what does this mean for the future of healthcare? As recent health care surveys and outlooks have highlighted, the trends facing the healthcare industry include struggling to improve transparency, especially the price, as well as improve the patient care and experience. Technology is working to eliminate these current issues. However, technology can prove to be a barrier, especially with the aging population. As a result, for many healthcare entrepreneurs, it's not just providing technology as the solution. In addition to this, as the “internet of things” and artificial intelligence can improve care, every healthcare business out there has to work on collaboration between the known healthcare organizations as well as the established ones through partnerships and acquisitions. This can help finance new technology providing a more comprehensive service, but while this helps to drive patient experience and minimize waste, to deal with the aging population a combination of old and new still needs to be in force. The one benefit with technology in relation to the aging population is telehealth as well as telepharmacy. Because there is a desire to reduce costs across the board, it's possible to launch initiatives save money, but still, grab that aging demographic. As a result, the healthcare industry can still prove to be competitive, regardless of the age of the patient. This is where most startups can fall flat, as the issues they are geared towards can be the younger demographics. In some ways, this leaves older generations, such as baby boomers, in the dust. But this is a key market that needs to be acquired for any medical startup to be competitive. Technology is the most vital component in the healthcare industry, but for any healthcare startup out there to be competitive, many can argue that an over-reliance on technology is the only way to survive. However, this is where we've got to give consideration to the aging population. While technology has made access to documents easier, as well as the “internet of things” and machine learning developing to a point where systems become symbiotic across the board, we have still got to provide that human angle. Because healthcare is a continuous service, and not just a way to treat the wounds, we have to consider the experience of the patient as the predominant factor. Poor patient experience means that they won't return, and this means we have got to start our process of acquiring new customers all over again. Technology is the most vital component in the healthcare industry now, but if you want to use it correctly, don't underestimate the human impacts of it, and your service, in general.